There are so many different types of technology that can help bartenders and even establishments be more effective. These technologies can help with staying in touch with customers, mixing drinks, taking customer orders, tracking tips and so much more. Technology used right is such a powerful tool. And with smartphones and tablets it is available at your fingertips to make the job easier. Here are several great bartender apps and technologies to check out. BOTY connects people at the bar in a brand new way. The app allows customers to check into the bar and see who else is hanging out at the same bar. Customers can rate bartenders, chat, flirt, and even play trivia games via the mobile app. As a bartender, you can alert your customers when you are working, share your work schedule, and upload drink recipes among other things. Start building up your bartender following and create your profile today. Do you need an app strictly devoted to keeping track of your tips? You can put your tip amounts into this app and go back and analyze your income. 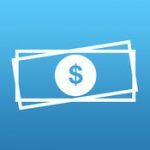 This will help you to know your typical income and help you to plan accordingly. It’s not a perfect system, but get over tipping. 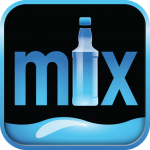 If you need a complete guide of drink recipes at your fingertips you might like to check out the mixology app. They have thousands of recipes that you can try and even review. It comes in handy when a customer asks for a drink you have never heard of before. We are not sure if robot bartenders came into existence due to laziness or birth from those super busy nights. However, a robot bartender can either help you or beat you out of a job. These robots can make standard drink recipes and customers can create their own drinks. While this is very cool technology that can be helpful, it can never replace the personal contact and interaction from the traditional bartender. On busy nights, do you want to take the time to check every ID in the bar? Serving a minor is a serious issue and can get you into big trouble. ID scanners like PatronScan are quick and easy, and can also tell you right away if the ID is valid or expired. Never guess again. ID scanners can be portable so they can be used by bouncers at the door or they can be stationary and used at the counter when you are serving the customers. What a great piece of technology. It’s time to give up on your old cash registers. 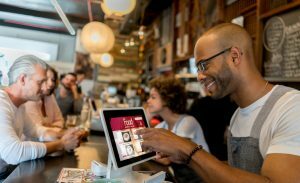 The new POS systems like Revel can be used with just a single touch screen tablet. You can put in drink or menu orders, open a tab and even charge customers right at this machine. Some even include the tip so that you don’t have to ask a customer with a card to leave a tip amount. Keeping track of customers has never been easier. As technologies advance there are more and more wonderful things that can help promote your life as a bartender. To learn more helpful tips and useful technologies keep following the BOTY blog. You are sure to find something useful for your everyday life.